I received (2) two bottles of Mighty Nut powdered peanut butter to facilitate this review, recipe and giveaway in partnership with SweatPink. All opinions and recipe are my own. With a vegan daughter in the house, we use a lot of nuts and seeds as a source of healthy fats and protein. And though the fat from nuts and seeds is the good kind of fat, I don’t mind cutting back whenever I can do so without compromising on flavor and other nutrients. 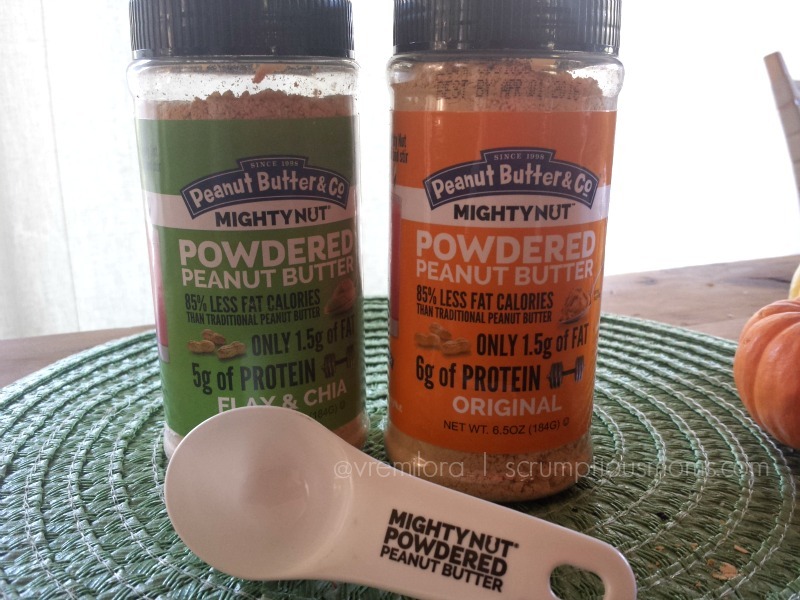 That’s why I was excited to sample these new Mighty Nut powdered peanut butters fromPeanut Butter & Co.
Peanut Butter & Co just launched Mighty Nut, their new powdered peanut butter! Each batch of Mighty Nut is created from quality USA grown peanuts. The peanuts are roasted, then pressed, to remove most of the fat. What remains is protein, fiber and delicious peanut buttery taste. They can be rehydrated with water or your choice of milk to make a creamy spread that is perfect to stuff celery sticks or generously spooned onto apple or other fruit slices. I found Mighty Peanut Butter to be easy to use and rich in flavor and I certainly did not miss the fat. I tend to make my own nut butters but did not feel as though I was compromising on flavor or nutrients. Mighty Nut peanut butter is also fabulous in smoothies. I made a few varieties that were delicious! 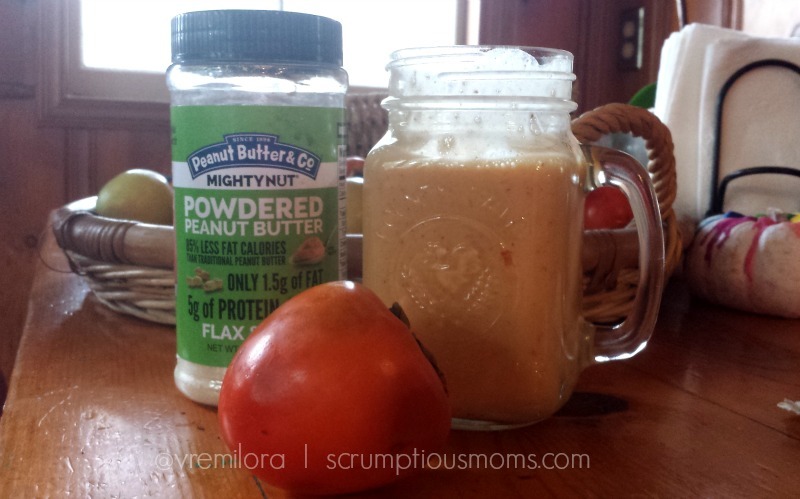 Have you ever paired peanut butter with persimmons? Yum! Of course a smoothie with half a banana, two scoops of Mighty Nut and a little raw cacao is scrumptious for breakfast or snack.. Add a little kale or spinach and you’ve got a fabulous pick me up! I love making chocolaty treats no matter what time of year and I could not resist trying my hand at homemade chocolate peanut butter cups with these healthy peanut butters. After all if I can make my treats a little healthier I’m a happy mom!! I used dark chocolate (my favorite) and these peanut butter cups came out so scrumptious I barely had time to snap a couple of photos before they were gobbled up by the goblins in my home. These are so simple to make I’ll be whipping up a few more batches this weekend. 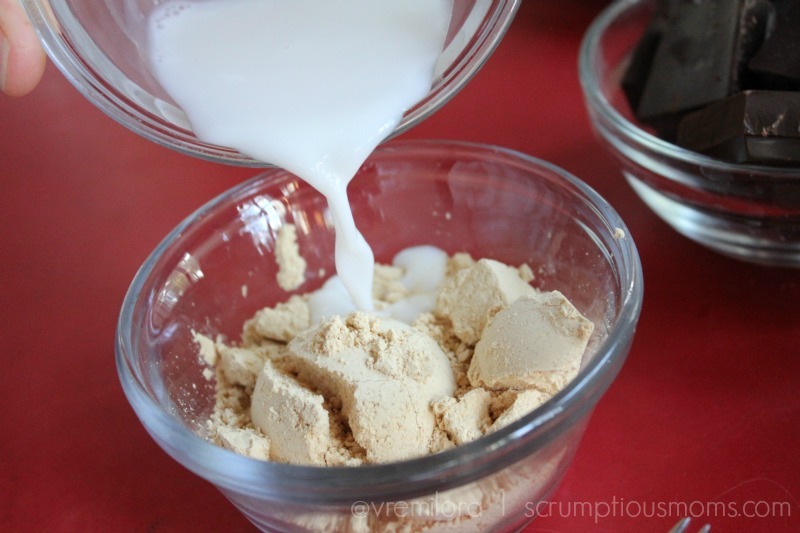 Start by making a creamy peanut butter by mixing the powdered peanut butter with the almond milk. 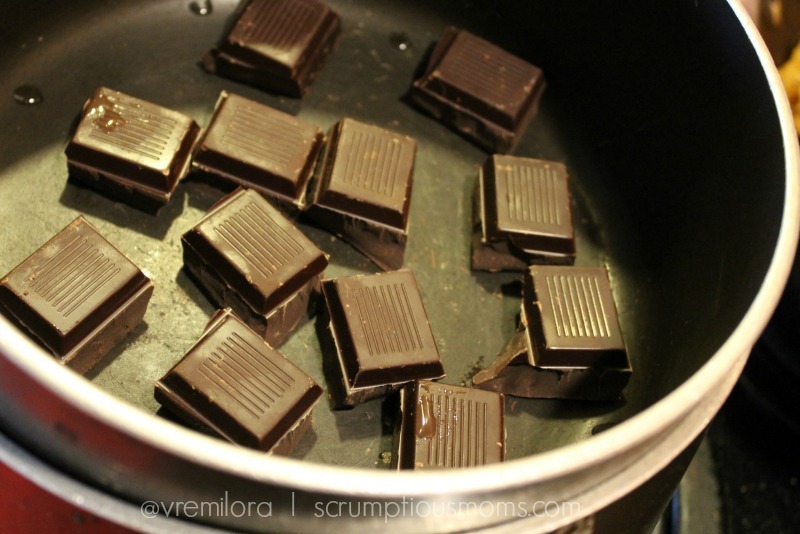 Place chocolate in a double boiler. 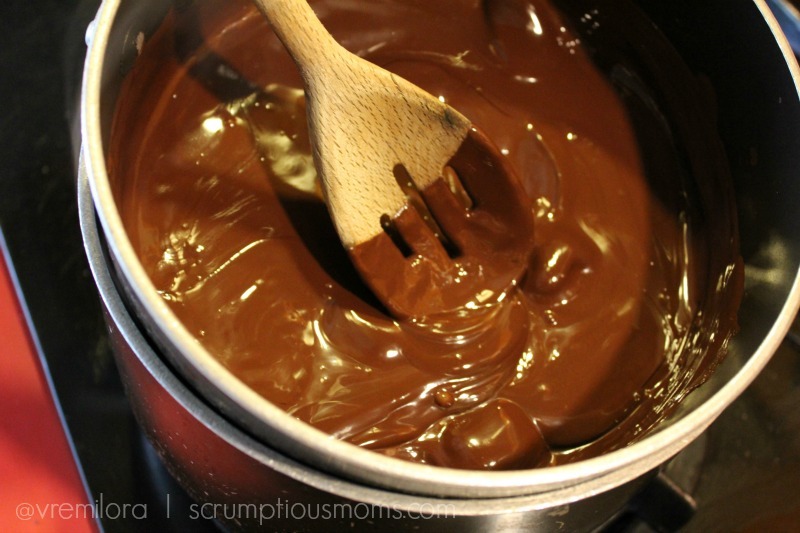 Melt chocolate slowly until creamy and without lumps. 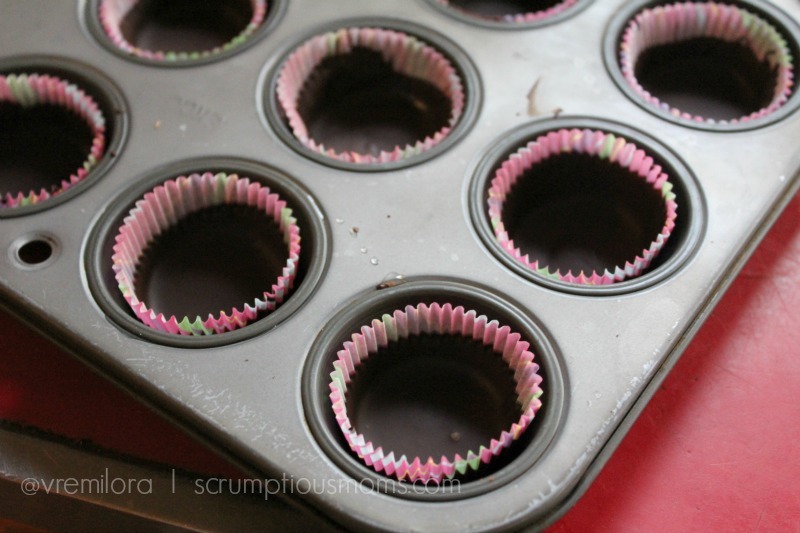 Spoon chocolate into mini muffin liners and swirl to coat sides. 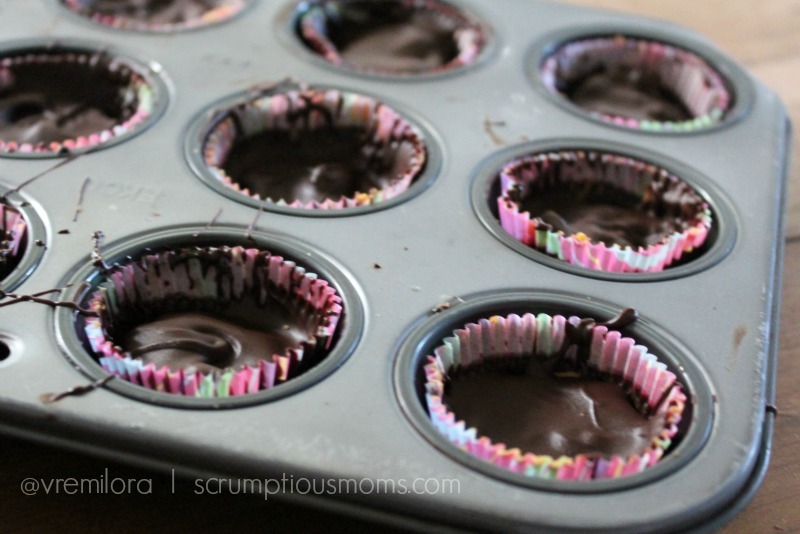 Place muffin tin in freezer for about a minute until chocolate is set. 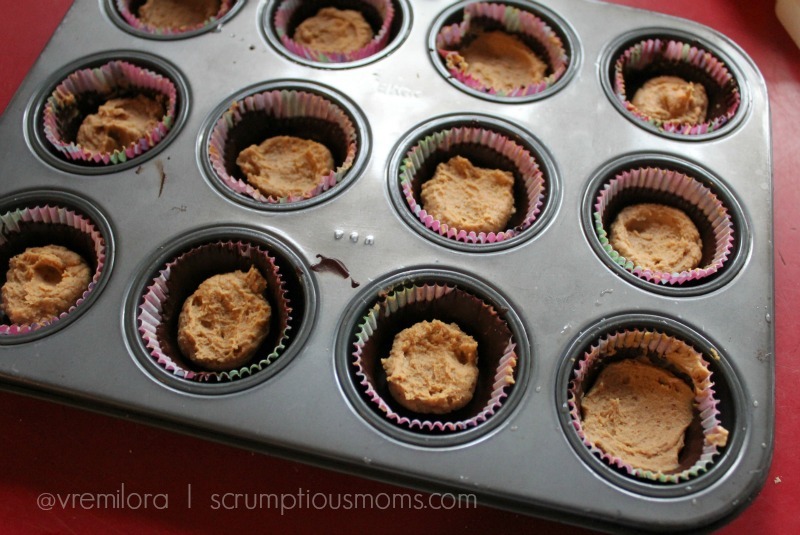 Place a spoonful of rehydrated peanut butter into each chocolate cup. Return cups to freezer for another minute or two until chocolate is set. Carefully peel back the paper from your peanut butter cups and take that first scrumptious bite!! You'll never know this is a healthy version of your favorite treat! 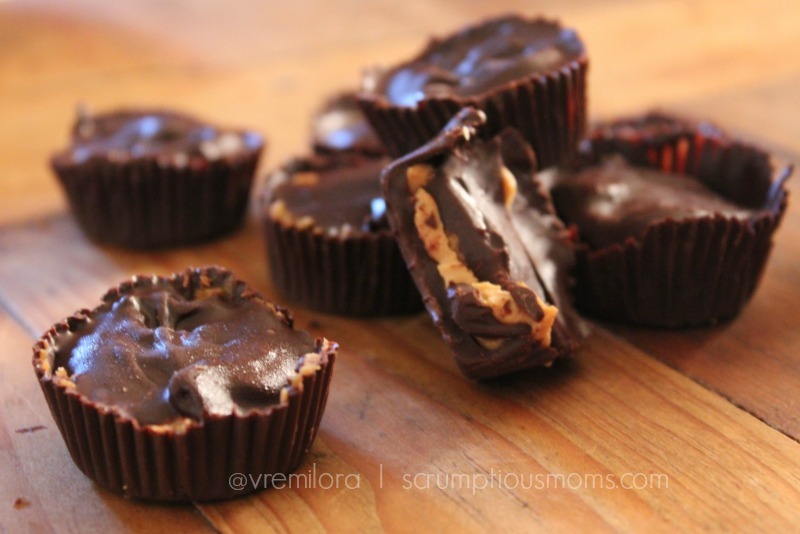 These homemade dark chocolate peanut butter cups are rich in flavor and ready in minutes! Mix almond milk and powdered peanut butter until creamy. 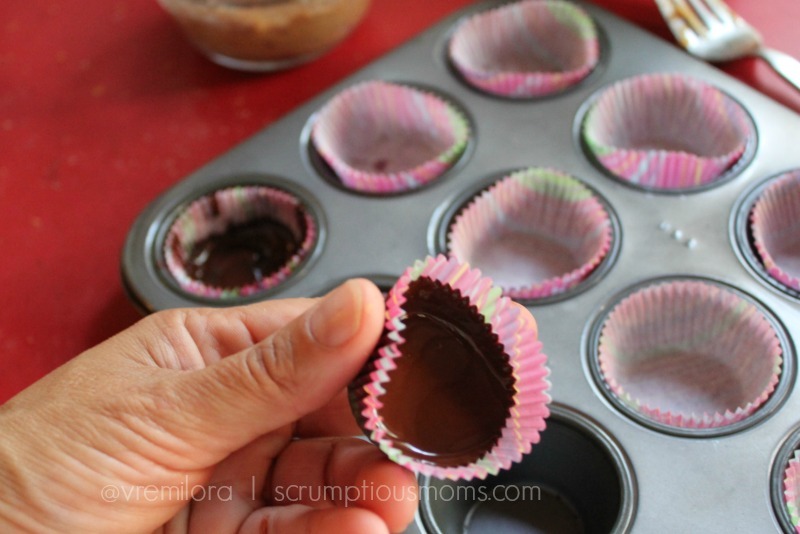 Spoon melted chocolate into mini muffin tins lined with paper liner. place pan in freezer for 1 minute until chocolate is set. 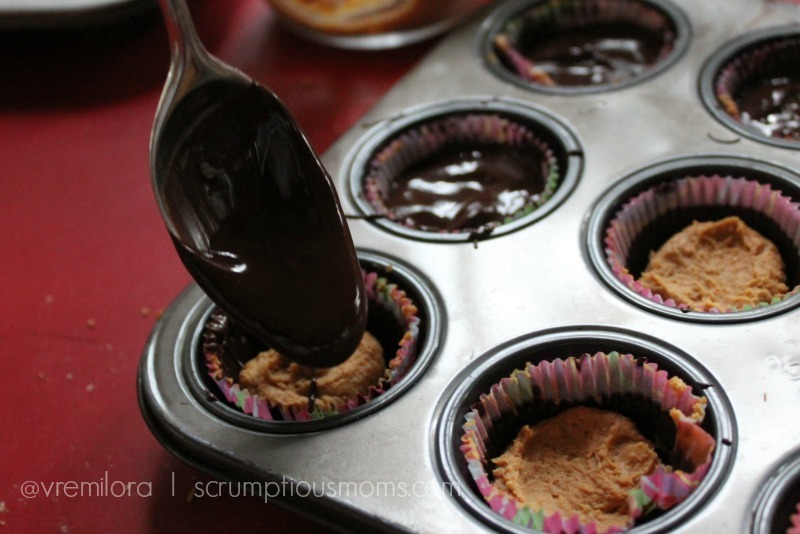 Fill chocolate cups with peanut butter. Spoon more melted chocolate on top of peanut butter to seal cups. Return to freezer for one or two minutes or until set. 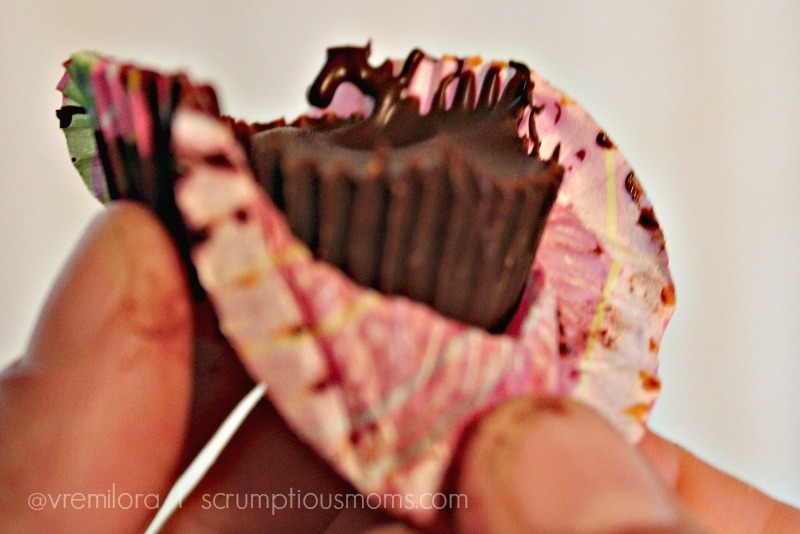 Remove from freezer and carefully peel back paper from peanut butter cups. Are you anxious to try MightyNut peanut butters? I thought you might be so I arranged a little giveaway with Mighty Nut and my SweatPink community. 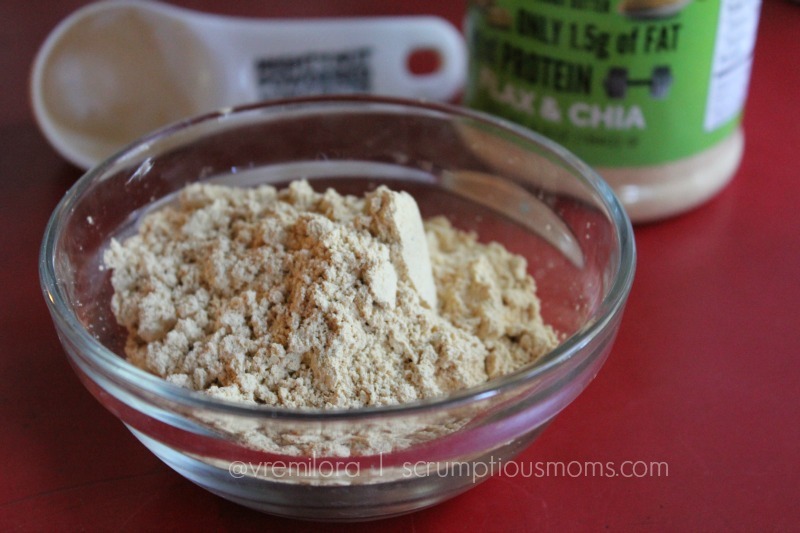 One lucky reader will win a bottle of powdered peanut butter in the flavor of your choice. Entering the give away is simple. Leave me a blog comment below and choose your preferred method of entry. Remember to tag me (@vremilora) on Twitter or Instagram so I can track your entry. Good luck! Which MightyNut Flavor would you like to try? What to look for in drugs online? Some drugs are far-famed. Other treat peculiar illnesses like Testicular cancer. Certain medications are as a rule used to treat sundry types of bacterial infections, such as gonorrhea and infections of the ear. Viagra is a prescription remedy used to treat inability to get or keep an hard-on. What about generic viagra and sexual living? Did somebody tell you about ? A number drugstores describe it as . Whilst erectile dysfunction is more common in men over sixty, men of any age can unable to have an erection. If you are going to take prescription medicines, ask your physician to check your testosterone levels before. What should I speak to a health care provider before ordering Viagra? Tell your pharmacist if you have any medic conditions. The very important question check that when you buy medicaments like Viagra online, you get real remedy. Many of the sites sell online really hazardous fakes. I’ve got some major peanut butter/chocolate lovers in my house, they would be pretty darn excited if I tried these out! This looks SO delicious!!! Would be fun to make and gift at Christmas too! Oh those would make a scrumptious Christmas gift indeed Brenda. Great idea!!! I have never heard of this product before but it looks brilliant. I can not wait to make these with my family. This looks so yummy! I need to get myself some powdered peanut butter! 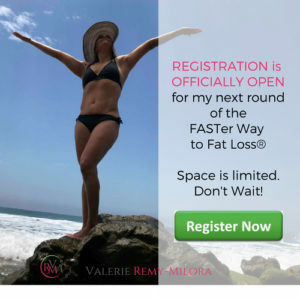 You are going to love these Allison! They are fantastic for making no bake energy bites too… I’ll have to experiment with a recipe or two very soon! Oh delicious! I’d love to have some of these treats prepared for a party. Those powdered peanut butters are awesome. Oh they’d be the talk of the party Liz 🙂 Enjoy! 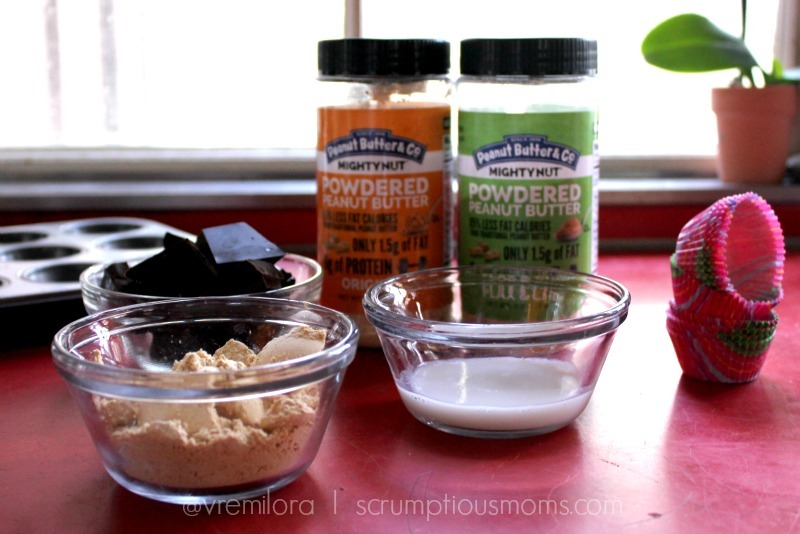 I’ve never tried this brand of powdered peanut butter but those DIY peanut butter cups look delicious! I hope I win! I think you are going to love MightyNut powdered peanut butters Sara and those DYI PB Cups too 🙂 I have to keep making new batches lol .. they just keep vanishing! I’d love to try the chocolate or Flax & Chia! The Flax and Chia is delicious Madeline, and the chocolate sounds fabulous! Great choices 🙂 Good luck! That looks like a great way to cut out some calories! I’ve made them before but they were definitely not the healthier way! Going to try this! The powdered peanut butter is amazing Amy! 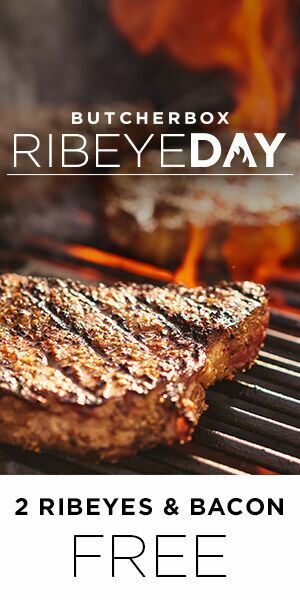 Rich in texture and flavor but way lower in fat. Scrumptious! This recipe looks absolutely amazing! I love peanut butter cup, and will definitely try this one. Thanks Sara! They are pretty awesome if I can say so myself.. and super easy to eat! These look delicious. I like that they are easy to make to. 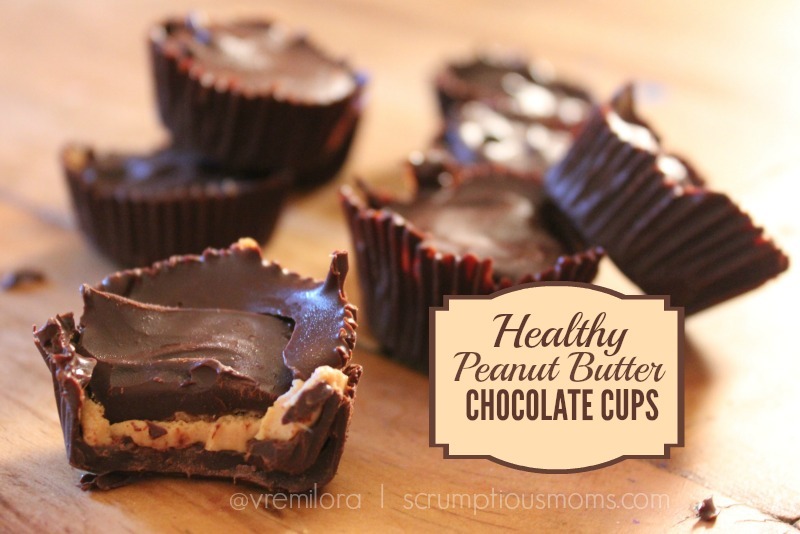 I love peanut butter cups and these look delicious, Definitely going to try this recipe and very soon. These are super yummy Kimberly, and I love the fact that the are full of flavor but lower in fat than traditional peanut butter cups because of the MightNut dehydrated peanut butter. Enjoy!